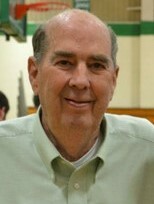 Millard Eldrege Horton, 81, of Holly Pond, passed away on Monday, April 8, 2019. He was born March 28, 1938, in Cullman County, to Art and Gracie Scott Horton. Mr. Horton loved to work on cars. His passion led him into a career in automobile body repair. Millard worked for over 30 years with Mitch Smith Chevrolet in Cullman. Mr. Horton also enjoyed traveling. He and his wife have visited 48 states, of the United States, as well as five providences, of Canada. As much as Millard enjoyed cars and travel, there was no comparison to the love he had for his family. He enjoyed Sunday lunch with his continually growing family and could often be found playing with the grandbabies and great-grandbabies. Millard was proud of his children, grandchildren, and great-grandchildren. Mr. Horton also enjoyed being outdoors where he could see the beauty of his Father’s creation. Millard was a beloved child of God and an ever faithful servant of the Lord, having been a member of Pleasant View Baptist Church since the age of 45. Even in sorrow, his family rejoices with the knowledge that he is in the presence of our Lord and Savior. Mr. Horton is preceded in death by his parents, A.H. and Gracie Horton. Survivors include his cherished wife, of almost 55 years, Jackie Freeman Horton; sons, Eric (Tara Ann) Horton, Kevin (Lisa) Horton; daughter, Kathy (Jerome) Kilgo; sister, Thelma Williams; brother-in-law, Jerry Freeman; grandchildren, Ashley (Chris) Ralph, Grant (Samantha) Banks, Kelly (Cody) Hall, Eren (Cassie) Horton, Kade Horton, Kohl Horton, Ross Bailey, Jacob Bailey, Chris (Erin) Kilgo, Shawn (Beca) Kilgo, Tyler (Stephanie) Kilgo; great-grandchildren, Maliah Ralph, Riley Ralph, Selah Ralph, Drew (Breanna) Ralph, Adora Ralph, Kaylee Ann Banks, Alyssa Banks, Vera Hall, Valyn Hall, Emma Kilgo, Lane Kilgo, Triston Kilgo, Brylee Kilgo, Amanda Kilgo, and Helena Kilgo. Funeral services for Mr. Horton will be 12 noon on Thursday, April 11, 2019, at Pleasant View Baptist Church, Pastor Randy Burtram and Pastor Ricky Turner officiating. Mr. Horton will lie in state from 11 a.m. until services begin. Burial will follow in Holly Pond Cemetery. Eric Horton, Kevin Horton, Kade Horton, Kohl Horton, Eren Horton, Jerome Kilgo, Grant Banks, Chris Ralph, Drew Ralph, and Cody Hall will serve as pallbearers. Friends may visit with the family on Wednesday, April 10, 2019, from 6 p.m. until 8 p.m. in the chapel of Holly Pond Funeral Home. Holly Pond Funeral Home is honored to serve the Horton family.